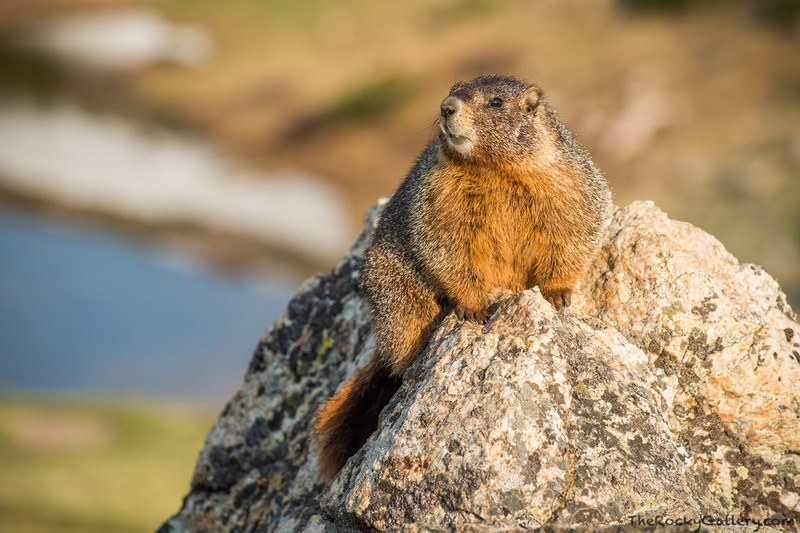 A chunky Yellow-bellied Marmot poses on top of a rock near aptly named Marmot Point. These vivacious members of the squirrel family are found in many areas of Rocky Mountain National Park. Drive Trail Ridge Road in the morning and you will find these animals sunning themselves on rocks just like this Marmot was doing. Photo © copyright by Thomas Mangan.